With Okta you can extend multi-factor authentication to Sophos. Okta Adaptive Multi-Factor Authentication (MFA) integrates with Sophos UTM to add an additional layer of protection for your on-premises resources and unified security management. 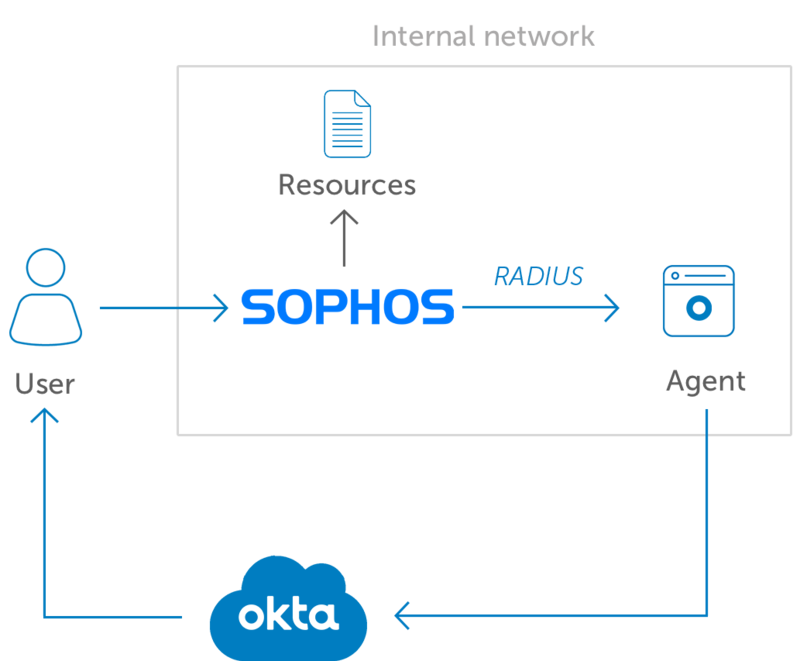 This interoperability uses the Okta RADIUS Server Agent as seen in the diagram below.